My name is Graciela Pulliam. I am a bi-lingual Licensed Mental Health Counselor in the state of Florida. I was born in La Paz Bolivia, and I have lived in seven countries throughout Europe, the Caribbean, and South America, settling in the Central Florida area for the past eighteen years. I speak native Spanish (Vea traduccion) due to my family background and travel experience, and I am fascinated by psychology across cultures. My career began in the University of Central Florida in Orlando, where I received a Bachelor of Science degree in Psychology. I went on to graduate studies at Rollins College in Winter Park obtaining a Master’s Degree in Mental Health Counseling with a certification in Marriage and Family Therapy. My counseling experiences have ranged from sexual trauma groups for parents of victims, dual diagnosis teen in-patient treatment programs, low functioning partial hospitalization groups, play and behavior therapy with children, and couple and individual counseling in private practice. I am also a certified Hypnotherapist. I am a member of several counseling organizations, including American Counseling Association, American Association for Marriage and Family Therapy, and the Association for Specialists in Group Work, as well as the local versions of these. I have even had the opportunity to present at their national conferences on several occasions as part of the committee for Best Practices in Group Work and on the topic of Sexual Counseling Theory. I have also put my experience into practice while teaching university Behavioral Science classes for the past 6 years. Let me put my years of experience, as well as empathic listening skills to work for you. So, take a look around the site. Here you will have the opportunity to get to know about my experience, services, and how to get started. Taryn Stevenson believes everyone has the ability to have joy and happiness, and that we just need to learn how! Taryn helps her clients by taking a positive approach to their lives. She understand the stressors and depression that daily life and trauma has on each individual, as well as their family. It is her goal to help you find a way out of this circle and create a meaningful life. She has been working with families and adolescents for the past 15 years to bring meaning to each individual as well as peace within the family. She specializes in working with individuals and families to create positive relationships. Taryn provides services teletherapy (online counseling) in Florida and Georgia. In addition, she has been working with veterans and their families for the past 5 years in dealing with unique challenges of deployment, reunion and PTSD's role in changing family dynamics. Loretta Baranowski is a third year masters student at Stetson University. By the end of summer 2019 she will graduate from Stetson University with a Masters in Clinical Mental Health Counseling and a certification in Play Therapy. Loretta is an active member of her Counselor Education program and serves as President of Chi Sigma Iota Alpha Omicron chapter. Loretta earned her Bachelor of Arts in Sociology at Stetson University in 2003. After graduating from Stetson University, Loretta worked 12 years for Florida Hospital in patient business. After leaving the hospital, Loretta worked as a Case Manager with Community Partnership for Children with disadvantaged children and at risk families. It was in both arenas that she developed a passion for supporting and engaging children and families. Loretta also volunteered at Northland Church in Longwood, Florida in the Divorce Recovery Ministry and volunteered with Surfers for Autism. I'm passionate about working with children on the Autism Spectrum and their families. I want to focus on providing quality care to children and families in Volusia County. My counseling experience includes both individual and group counseling." Loretta is currently a member of the American Counseling Association. Lisa Rickman is a third year Stetson University student working on her Masters in Clinical Mental Health Counseling. Lisa’s research interests include postpartum recovery, expressive arts and trauma work with children & adolescents, and spirituality. She is an active member of her chapter’s Chi Sigma Iota Honor Society and the American Counselors Association. Lisa is also a research assistant for Stetson’s Counselor Education Research Club (CERC) and is actively engaged in putting research to practice, to better the outcomes for clients and students. Lisa has been working with children in the K-12 setting in a variety of roles for the past 10 years. She earned her Bachelor of Science in Exceptional Student Education from Daytona State College and began teaching at Deland Middle School in 2016. 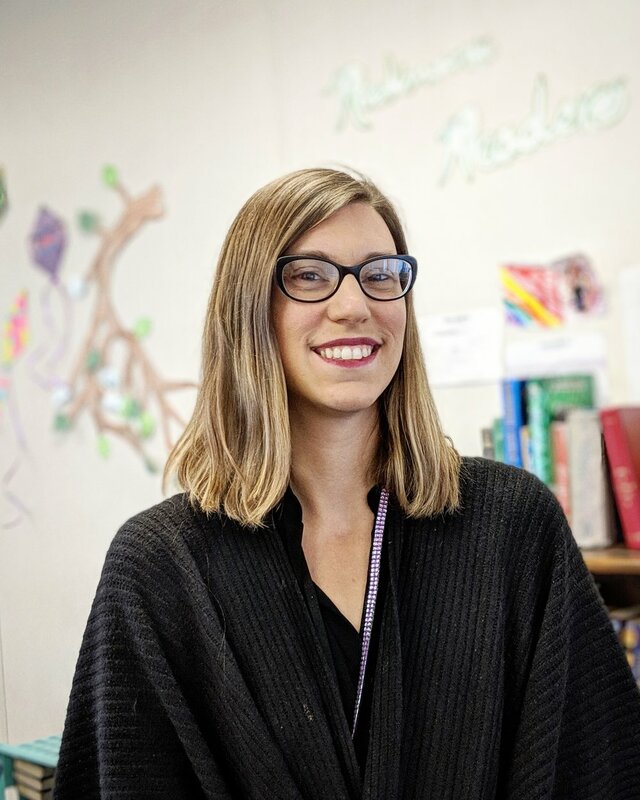 Lisa is passionate about her work with middle schoolers and takes a strengths-based approach to addressing issues in the learning environment as well as in the counseling session with clients. Her work with the ESE population has allowed her to practice and continue developing important skills to support those with special needs. Lisa also interns at Halifax Behavioral Services working with children and teens in crisis situations. Lisa considers valuing the client’s perspective and working with compassion a priority in counseling.